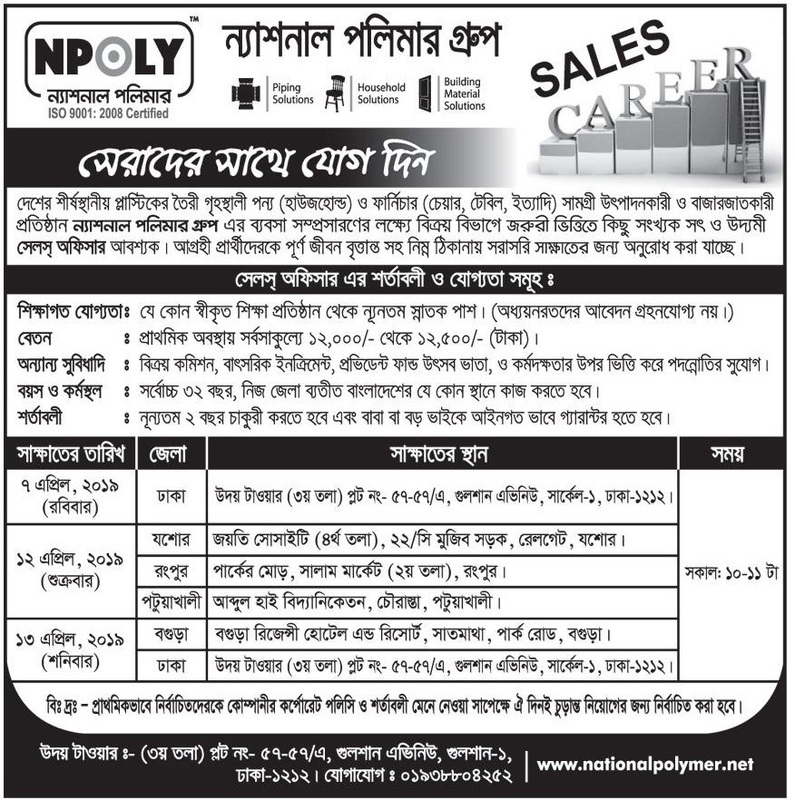 National Polymer Group Job Circular 2019 has been published in daily newspaper Bangladesh Pratidin and to get from BD Jobs Careers. As a mention, National Polymer Group is a promising and largest private organization in Bangladesh that produces various house hold products such as door, steel, furniture, selling fan, UPVC pipe, PP-R pipe and more. Good news is that, in recent time the company looking new job holder of various positions in around the Bangladesh. However, if you are interested private organization job in Bangladesh and finding private sector jobs to follow National Polymer Group Job Circular 2019 we think, this is good one. For your help, here you can check this job full information; we have already given all of the necessary information by means of jobs circular image. So let’s check and submit your application. ■ Educational Qualification: Degree Pass. ■ Age of Limit: Maximum 30 Years. ■ Apply Instruction: To Follow Job Circular Image. This entry was posted in All Jobs, Epaper Jobs, Marketing/Sales, Multinational Company Jobs, Newspaper Jobs, Private Job, Prothom Alo Jobs, Prothom Alo Jobs Today by admin. Bookmark the permalink.